Public Health England and national partners are striving to ensure that data and information is used to improve quality of care and outcomes for people with cardiovascular disease. The interpretation of data and information should be acknowledged as a fundamental building block of service improvement and we are already seeing our analysis in action on the ground on a regular basis. 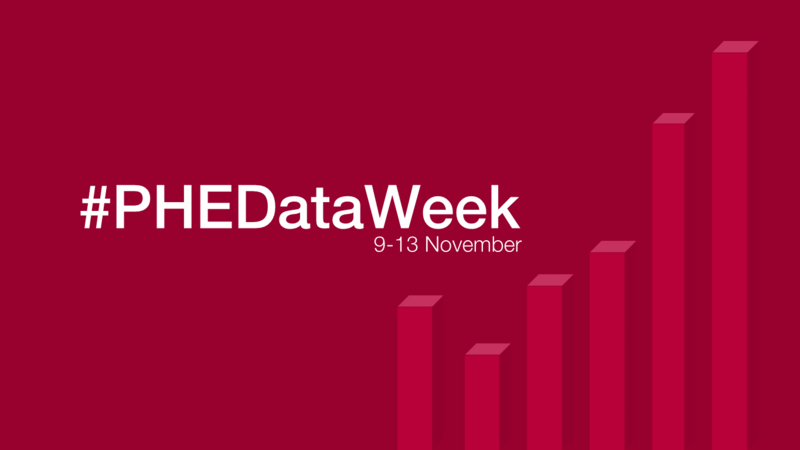 Over the past 18 months, PHE’s National Cardiovascular Intelligence Network has been running a series of masterclasses around the country, giving professionals in clinical commissioning groups (CCGs), local government and clinical services the opportunity to learn about our data tools and information as well as those of other network partners in the field of cardiovascular disease. At a recent masterclass, I was reminded of the very direct way our analysis is used to improve patient care and outcomes. 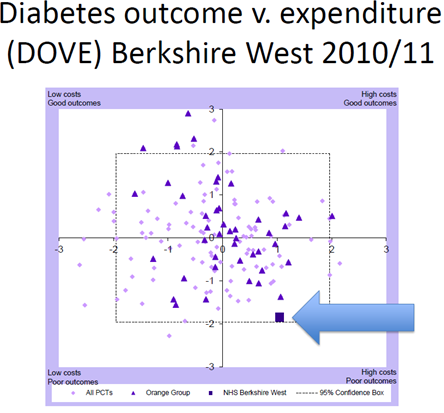 Berkshire West GP, Richard Croft, described how the ‘penny dropped’ when they began to look at the diabetes outcomes versus expenditure tool (DOVE tool) locally. They saw that Berkshire West was an outlier in the quadrant for high costs and poor outcomes for attainment of HbA1c below 59mmol/mol. In other words, expensive and poor care with people with diabetes managing their blood sugar levels poorly. As the new CCG came into being, the DOVE tool’s graphic caught the attention of its leadership and meant that diabetes became the top priority for improvement. The data has directly led to the commissioning and rollout of three initiatives across the local area in a short space of time: care planning, structured patient education and health care professional education. The CCG has set up a stakeholder network and given local leaders the mandate to move ahead quickly and improve care. Doing this has generated excitement and a strong sense of achievement in Berkshire West. Most importantly, the work has led to a steady improvement in standards, demonstrated in improved results in the National Diabetes Audit (NDA) metrics and local data. People with diabetes in the area are now managing their blood sugar levels better and suffering fewer complications as a result. Another example of where NCVIN data has effectively influenced PHE programmes and health outcomes includes a report published earlier this year for the National NHS Diabetes Prevention Programme. We used the latest estimates for the numbers of people at risk of Type 2 diabetes across England to inform the prevention programme - an alarming 11.4% of the population aged over 16 – some 5 million people. The report was created to help deliver an evidence-based behaviour change programme focused on lowering weight, increasing physical activity and improving the diet of people identified as being at high risk of developing Type 2 diabetes. It looked at numbers of people over the age of 16 in England who have blood glucose levels that indicate they are at risk of developing Type 2 diabetes, also known as “non-diabetic hyperglycaemia”. Analysis by the NCVIN was carried out using five years of Health Survey for England data from 2009 – 2013. As a result we now know that an estimated five million people are at risk of Type 2 diabetes in England; the first ever estimates for the numbers at risk, at Local Authority level and of prevalence of non-diabetic hyperglycaemia. Following traditional diabetes prevention models, such as the US or Finnish diabetes prevention programmes, leads to a greater weight loss – almost 3kg higher than those that didn’t follow this approach. And a programme combining physical activity and diet is more effective than one involving just physical activity, helping people shed an additional 0.38kg. This data has helped us understand the scale of the issue and how people can lower their risk of developing Type 2 diabetes. Our review also shows that supporting people can help them change their behaviour and protect their health and the new prevention programme aims to do just that. So it goes to show that the work going on behind the scenes, our data collections, our analysis, and access to that data plays an integral role in improving health, and helping people to lead healthier, happier lives in local communities. You can learn more about NCVIN priorities online.